As a deadly cancer spread inside her brain, leading neuroscientist Barbara Lipska was plunged into madness—only to miraculously survive with her memories intact. In the tradition of My Stroke of Insight and Brain on Fire, this powerful memoir recounts her ordeal and explains its unforgettable lessons about the brain and mind. At the height of her career, Barbara Lipska—a leading expert on the neuroscience of mental illness—was diagnosed with melanoma that had spread to her brain. Within months, her frontal lobe, the seat of cognition, began shutting down. She exhibited dementia- and schizophrenia-like symptoms that terrified her family and coworkers. But miraculously, the immunotherapy her doctors prescribed worked, and Lipska returned to normal. With one difference: she remembered her brush with madness with exquisite clarity. Lipska draws on her extraordinary experience to explain how mental illness, brain injury, and age can distort our behavior, personality, cognition, and memory. She tells what it is like to experience these changes firsthand. And she reveals what parts of us remain, even when so much else is gone. 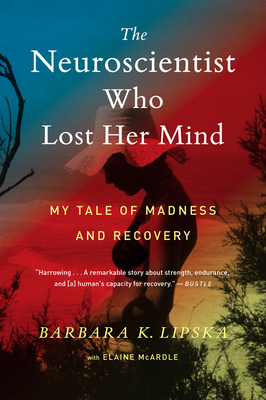 Included in the Top Ten of Publishers Weekly's "Spring 2018 Announcements: Memoirs and Biographies"
"Diving inside some of the deepest mysteries of the human mind with someone who has spent her life studying exactly that, Barbara K. Lipska’s The Neuroscientist Who Lost Her Mind describes the leading neuroscientist’s own descent into madness—triggered by an aggressive cancer that spread to her brain, miraculously retreated just months later, and left Lipska not only with her memories intact, but with a whole lot more insight (and even more questions) into the human brain." — Bustle, "14 Debut Books by Women Coming Out in 2018 That You Need in Your TBR Pile"